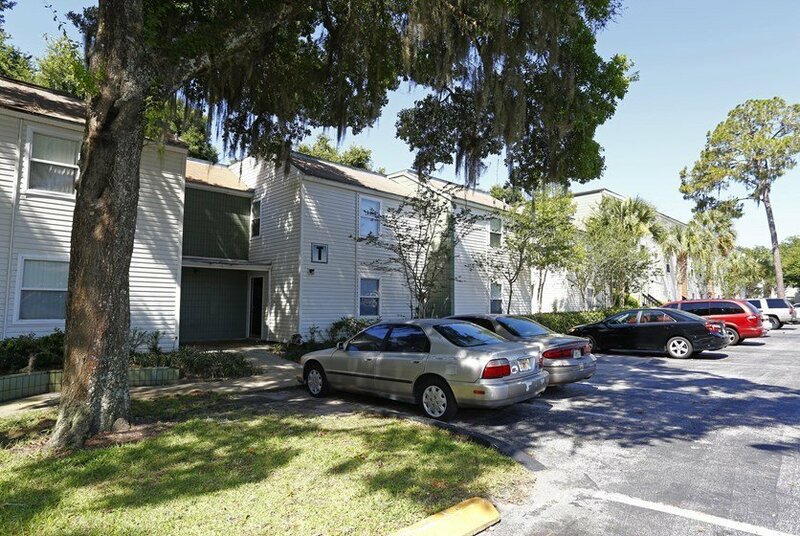 The apartments at Bivens Cove are approximately two miles south of the University of Florida. You can drive to the southeastern corner of campus near the College of Dentistry and the College of Medicine in about 10 minutes with light traffic. From the apartment complex, take SW 13th Street north to SW Archer Road. Turning left on Archer will take you along the southern edge of campus, or you can continue straight to drive along the eastern edge. You can then turn left on any road to reach your desired area of campus. The eastern side of campus is home to a variety of green spaces and recreational facilities, including Diamond Creek, Jennings Creek, Norman Lawn, Broward Outdoor Recreational Complex and Architecture Lawn. If you don’t have a private vehicle, you can walk to this area of campus in less than an hour, and the bike ride should take no more than 20 minutes. 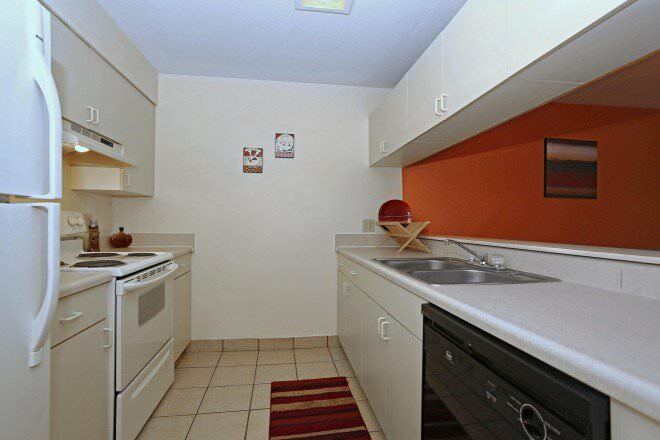 There are also some dining options and a few libraries convenient to this area of campus. If you want to use the RTS busing system, there are multiple bus stops along SW 13th Street. The closest stop is right in front of the apartment complex. These stops connect to bus routes 13, 128 and Later Gator D. To reach campus, take the route 13 bus north to Beaty Towers. This leaves you on the eastern edge of campus in front of Yulee Pit and across the street from Norman Field. This is also where many of the sorority houses are located. 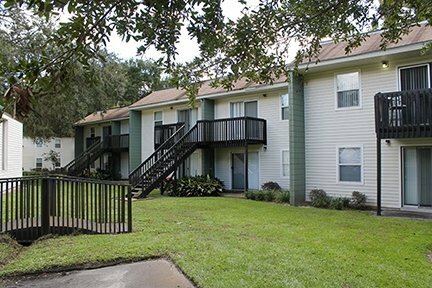 You can reach most areas of Gainesville by taking these three bus routes from the apartment complex. You also have the option of transferring to other routes from campus or any of the main bus stations. 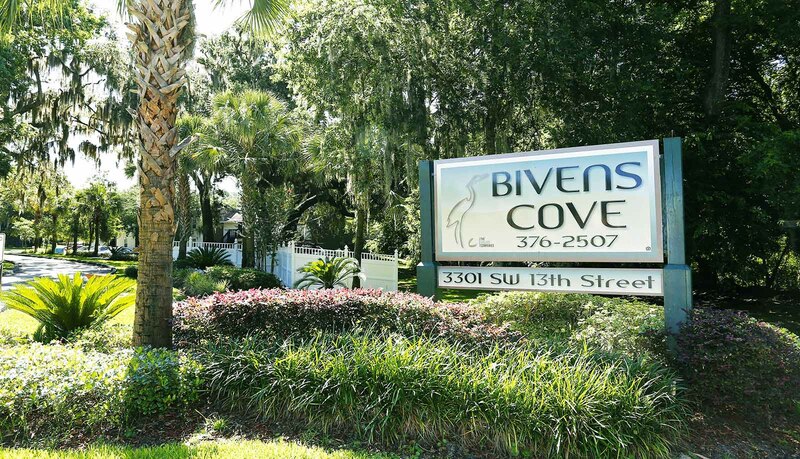 Bivens Cove is the perfect place to call home if you enjoy spending time outdoors. 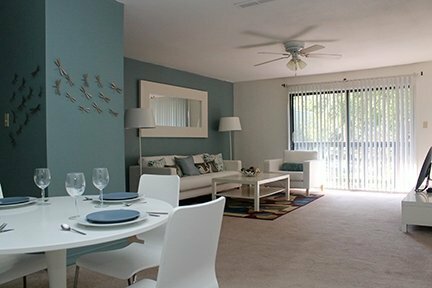 The apartment complex is located next to Bivens Arm Nature Park, and the expansive Sweetwater Wetlands Park is within walking and biking distance. There are restaurants within a half mile of the apartments serving everything from sushi and Chinese to Egyptian, Mediterranean and American comfort foods. You can walk to all of these attractions plus many retail stores. Cyclops Cinema, Arcade Bar, Ben Hill Griffin Stadium and Rockeys Dueling Piano Bar are all about two miles away, so you can easily ride a bike or drive just minutes for entertainment and many dining options.